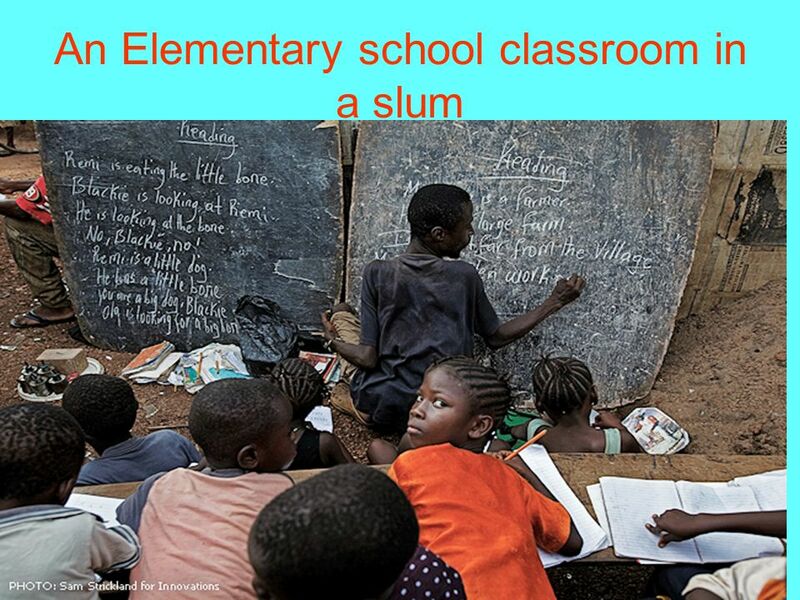 Introduction – Pairwork- Have you seen a classroom in a slum-area? What does it look like? 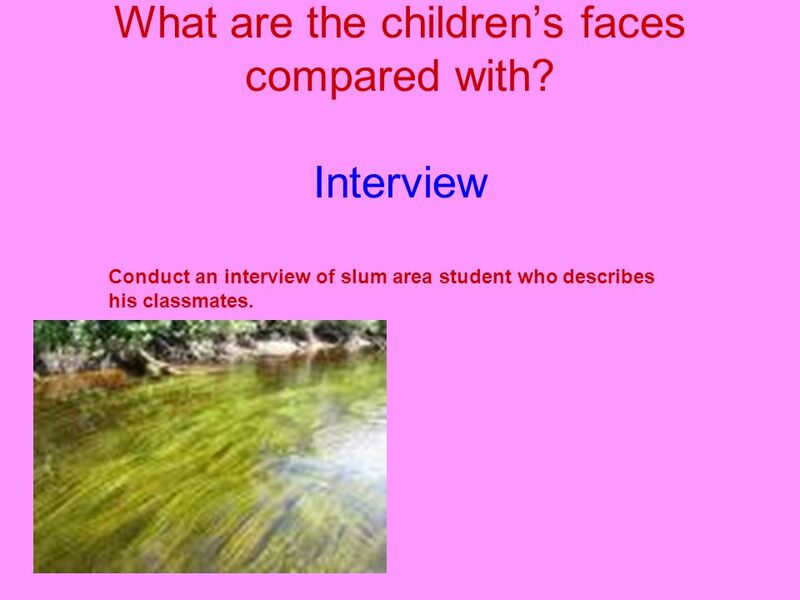 Conduct an interview of slum area student who describes his classmates. 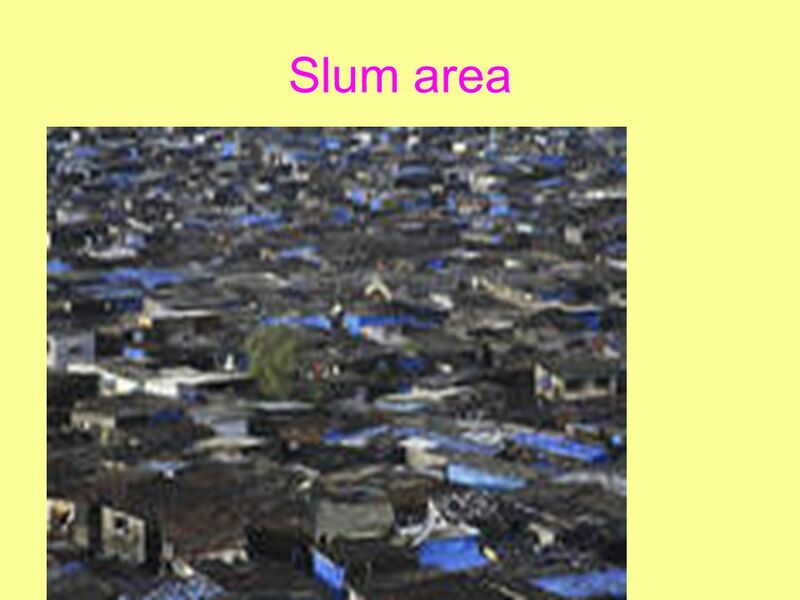 Download ppt "An Elementary School Classroom in a Slum -Stephen Spender"
04/06/2015  Copyright Valiant Technology Ltd. 04/06/2015  Copyright Valiant Technology Ltd Paddington Bear As many of you are probably aware Michael. 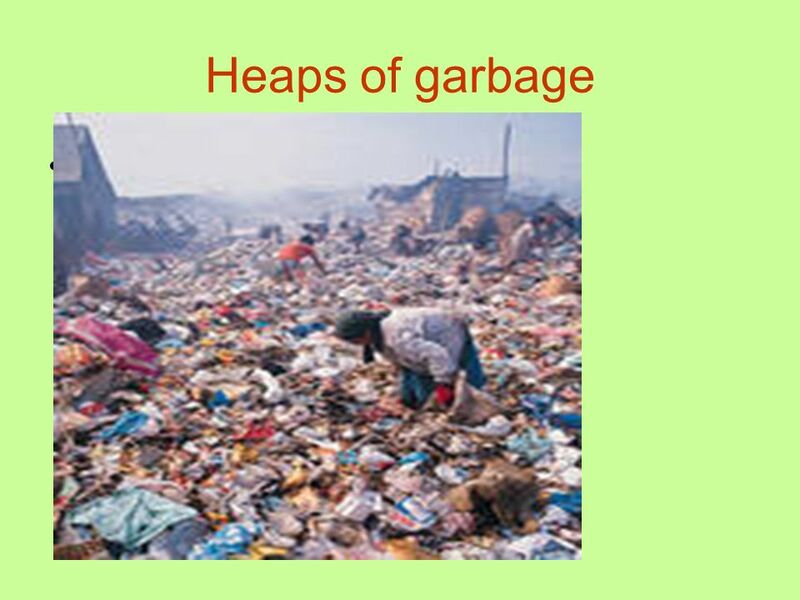 A Global Module for EDUC 101 Introduction to Teaching Linda R. Taylor. How to conduct the interview  Have different types of questions, open ended and closed questions.  Descriptive will allow them to first get to know. Stanza 1 1.Far far from gusty waves these children's faces. 2.Like rootless weeds, the hair torn around their pallor. 3.The tall girl with her weighed-down. Earth Smart. donating To give some of your time or money to help other people. To give some of your time or money to help other people.  Our class will. Peasant Wedding c. 1568; Oil on wood, 114 x 164 cm (45 x 64 1/2 in); Kunsthistorisches Museum, Vienna. Høgskolen i Oslo MathWhiz an example Learning and Teaching in a Digital World LATINA seminar5. november 2008 Vibeke Bjarnø og Helge Høivik. 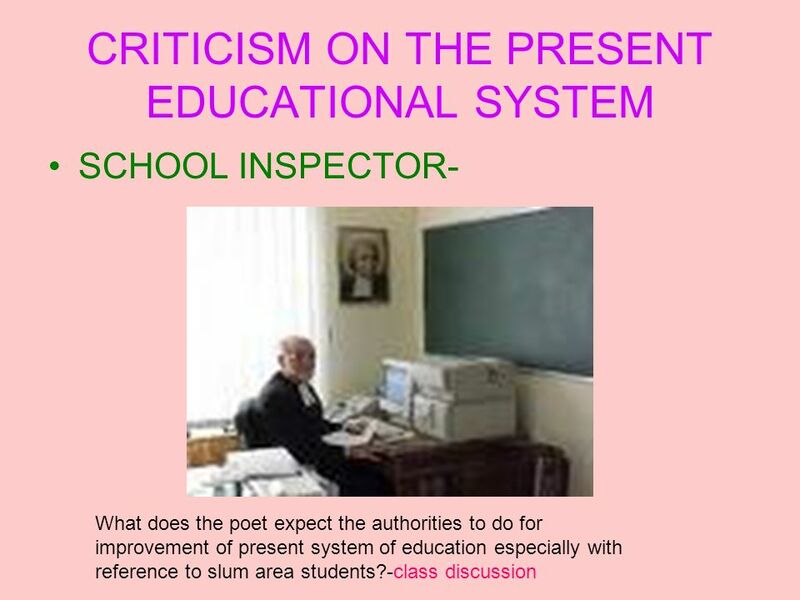 THE UNITED STATES SCHOOL SYSTEM PRINCE WILLIAM COUNTY SCHOOLS. William Shakespeare. 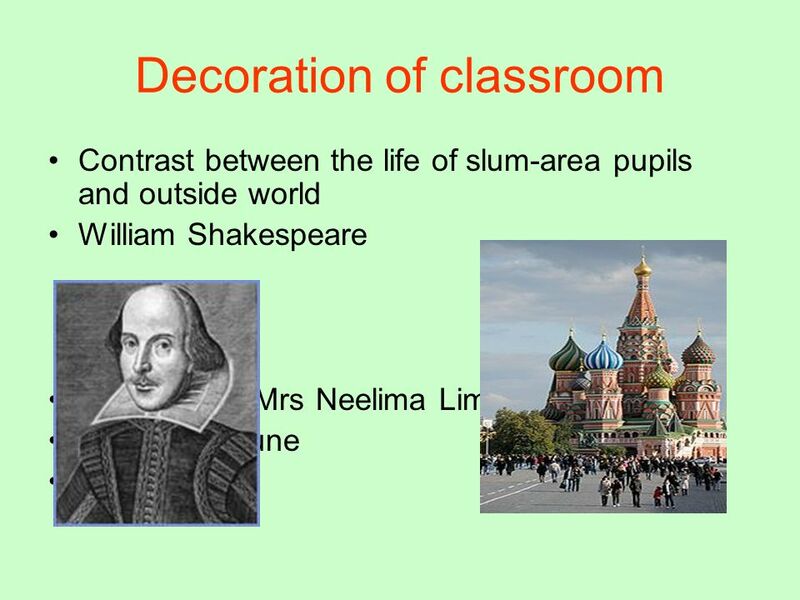 Year 7 Your mission if you are willing to accept it, is to learn about William Shakespeare and his plays! Starter game. © The Critical Thinking Consortium Children’s Rights – Caring adults # 1. Week 6: Religious artefacts and the construction of religious meaning. William Shakespeare By Michael Glinos. I am an artist and my passion is education! I am a performer and my stage is the classroom. I am a musician and my instrument is my heart. I am a writer.